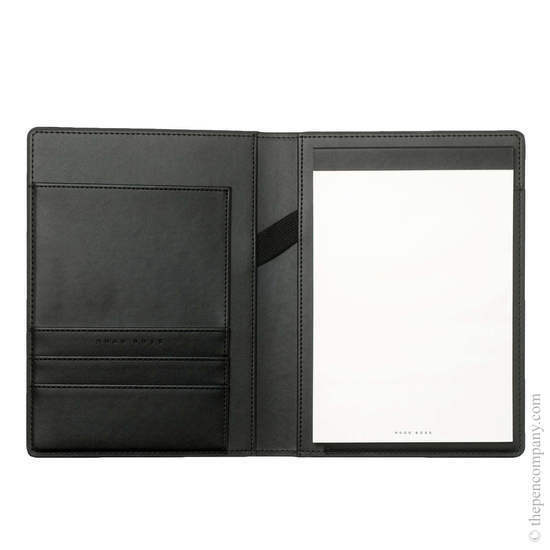 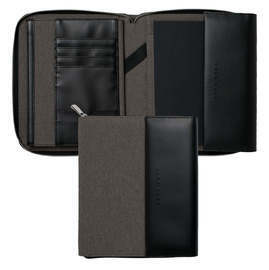 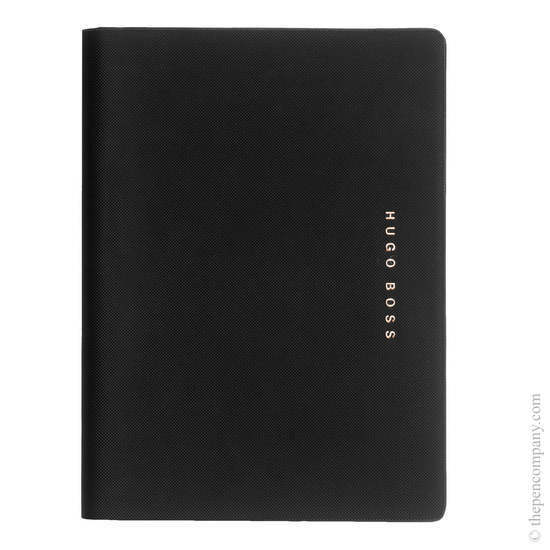 The Hugo Boss Caption Essential folder features a subtly textured P.U. 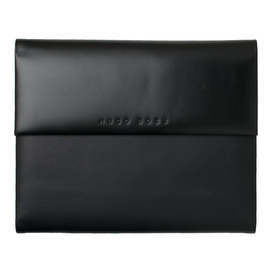 finish with a smooth interior reminiscent of black leather. 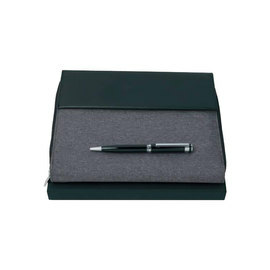 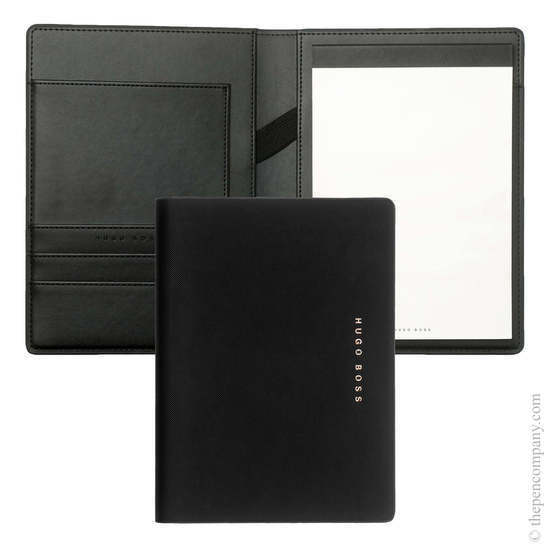 The folder comes complete with an A4 or A5 notebook integrated into the right-hand inside cover. 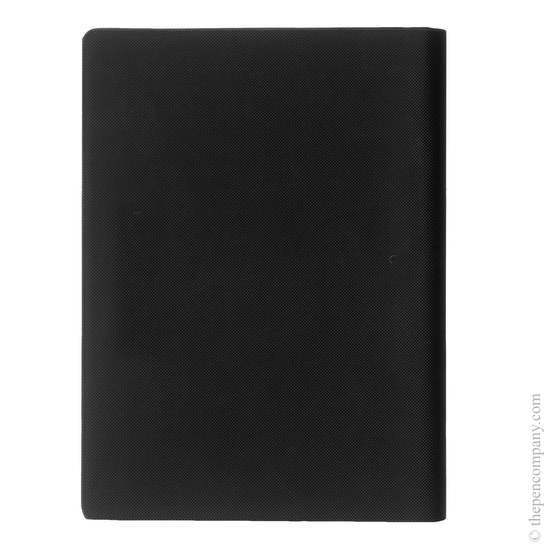 On the left are a variety of dividers, ideal for holding documents and business cards, whilst the inside of the spine features a tag of the same smooth material for convenient stowing of a pen.